Turns Vulpes Inculta of Caesar's Legion into a possible companion. He's fully functional and fully voiced using Vulpes' existing in-game audio files. This mod turns Vulpes Inculta, the Frumentarius of Caesar's Legion, into a full-fledged companion. 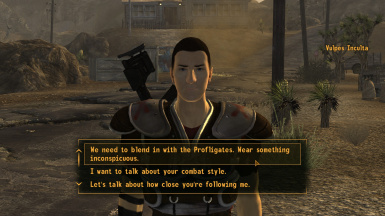 He has all the functionalities (dialogue wheel, tactics, wait/follow, go to Lucky 38, etc) and dialogue of any vanilla follower, plus a dialogue option that branches into a bunch of questions about the Legion, himself, etc. All dialogue is fully voiced and lipsynced using Vulpes' in-game audio files (often cut up and sometimes pieced together, but never in such a way that it sounds unnatural). I've also added several pieces of (voiced and lipsynced) dialogue for when: Vulpes attacks someone, combat starts, combat ends, someone gets murdered, a grenade gets thrown, the player goes into Alert state, the player goes from Alert to Combat state, and for when Vulpes gets hit/knocked back/KOed/friendly fired. Vulpes also comments when the player does certain things like killing House, activating Archimedes, starting the final battle, entering McCarren, the Fort, the Strip, or Nipton. Don't want him to be some creepy guy following you in complete silence, now do we? 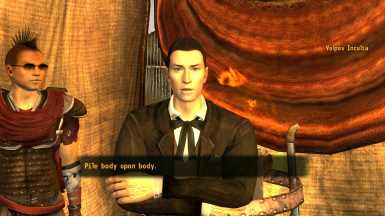 Vulpes is dressed in the same suit he wears on the Strip. If you want him to switch to a Legion uniform, tell him to do so through his dialogue about tactics. Keep in mind he will attack all Profligates on sight if he does this. Also, if your reputation with the Legion drops below neutral, Vulpes will get mad at you and leave when you talk to him. I think most of us can agree that the Legion is severely lacking in content when compared to the Profligate factions. 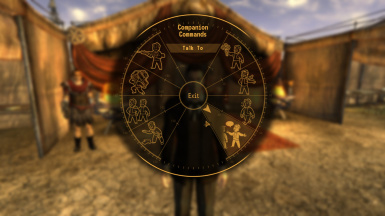 This mod aims to change that by giving you an interesting pro-Legion companion. For those that can't help but be a Profligate, there's also a non-Legion version. 1.5 Update: Vulpes now uses a unique weapon when you tell him to get in his Legion outfit: a This Machine with the text ''Well this machine kills Profligates'' carved on the side. The player can get one for himself in the Legion safehouse; it's immediately to your left when you enter, leaning against the couch. 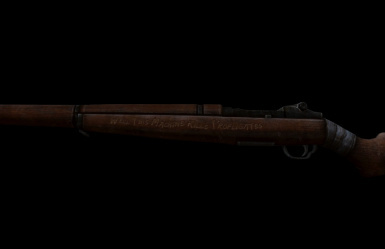 There's also a patch so Millenia's retexture of This Machine is used for the gun (with the altered text of course). 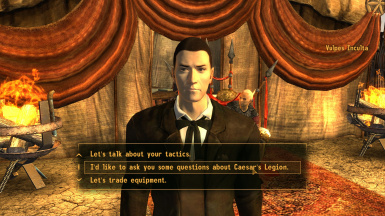 Talk to Vulpes in Caesar's tent on Fortification Hill. If your reputation with the Legion is neutral or higher, you can recruit him. Just drop the files into you Data folder and tick the .esp with your mod manager of choice. If installing the Millenia retexture patch, say ''yes'' when it asks you if you want to overwrite the files. It's fully compatible with Caesar's New Regime and Legion Redesigned and *should* therefore be compatible with any mod that changes Legion armors; just make sure to load this mod AFTER any mods that change such things. If you do find a conflict with a Legion-related mod, please tell me. Increased Vulpes' accuracy. Decreased his health; it is more similar to that of vanilla companions now. Added and improved combat dialogue. 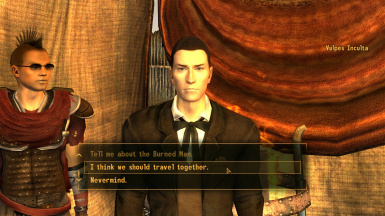 Upon entering the main building of Camp McCarran with Vulpes as a companion, Vulpes will initiate conversation with the player in which he points out where Captain Curtis' true loyalties lie. This can then lead to the quest "I Put a Spell on You". 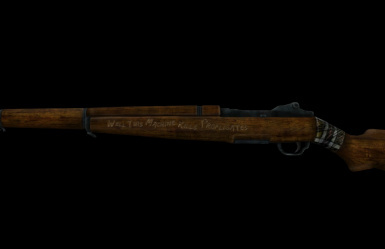 Changed Vulpes' weapon when you tell him to get in Legion uniform; it's now a This Machine, but I photoshopped the texture to say ''Well this machine kills Profligates''. There's one for the player in the Legion safehouse, it's immediately to your left when you enter. Also changed Vulpes' default weapon to a suppressed pistol. Added a bunch of dialogue, mostly combat/detection dialogue, and changed some dialogue I didn't like. Combat dialogue has been approximately tripled, some of it conditional on the enemy you're fighting. Vulpes now comments when the player enters certain areas/does things, for example: killing House, activating Archimedes, starting the final battle, entering McCarren, the Fort, the Strip, or Nipton. Added ability to tell Vulpes to wear his Legion armor and use his assault rifle. This will make him attack all Profligates on sight. Select ''Let's consider your tactics.'' to find the dialogue option for it. Fixed issue causing Vulpes not to appear in Goodsprings with the non-Legion version. Made a compatiblity patch for FCO instead of an entirely different version. Set Vulpes to always be essential when he's your companion. 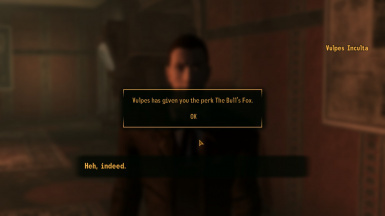 The Strip and Nipton versions of Vulpes no longer spawn when you've hired him, but are replaced by respectively Alerio and Gabban. Changed Vulpes' perk to be more fitting to his abilities. Added a companion perk for Vulpes, ''The Bull's Fox''. Added pop-up messages when receiving said perk, when it's removed, when Vulpes is dismissed and when he dies. 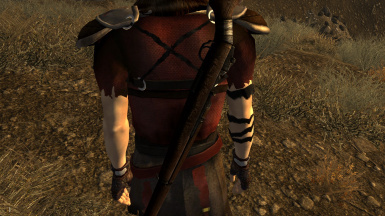 Vulpes will now fade out and teleport when dismissed like the vanilla companions. Gave Vulpes his own faction and class. 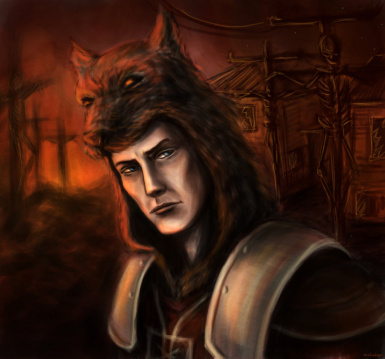 When initiating dialogue, Vulpes will now return to the fort once your Legion reputation drops below the neutral threshold when he's at the Lucky 38. Fixed problem which caused some dialogue options to change for all followers instead of just for Vulpes. Vulpes is now only part of the player's faction when he's actually following you. Gave Vulpes a unique suit, ripper, and .44 with companion ammo.